Since it started making news in 2006, the starchitect-designed condominium tower at 53 West 53rd Street, officially known as 53W53 along Manhattan’s “Billionaire’s Row,” has progressed slowly, stalled until last September when developers were able to obtain 240,000 square feet of development rights from MoMA and the St. Thomas Episcopal Church for $85.3 million and secure a $860 million construction loan. 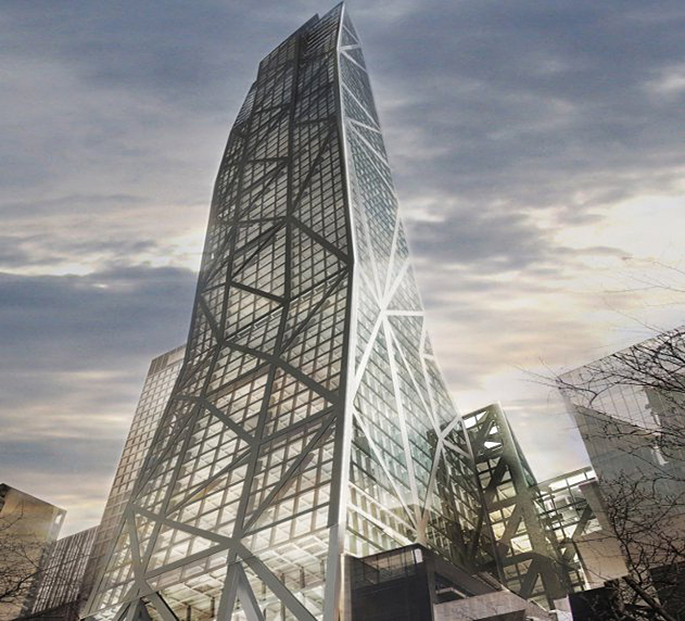 The Jean Nouvel-designed 1,050-foot asymmetrical tower, often called MoMA Tower, is adjacent to the museum and will occupy three of its lower floors. 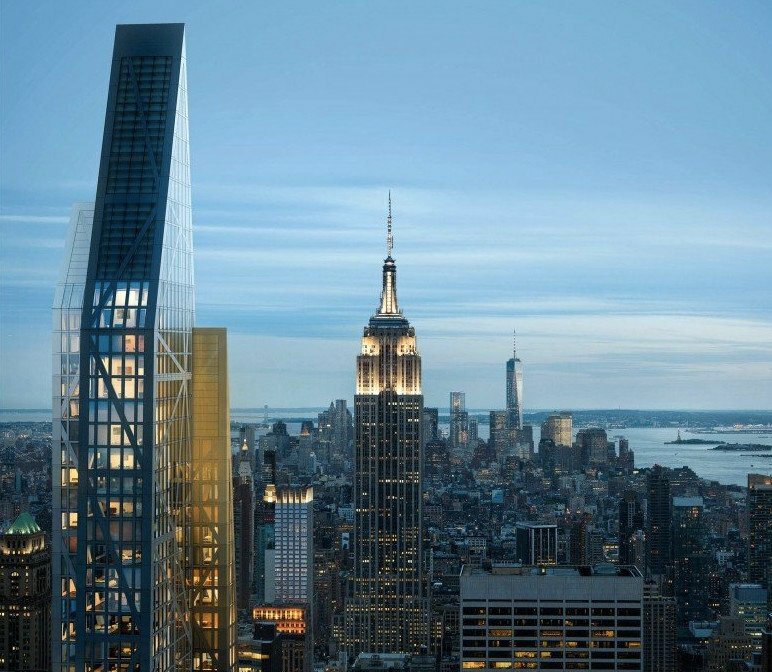 MoMA recently held an event to honor Pritzker Prize-winning architect Jean Nouvel and the much-talked-about project–his first NYC skyscraper. A full-scale unit model of a $10 million, two-bedroom, 32nd-floor apartment planned for the tower was constructed in a Sunset Park warehouse, showing how the building’s well-known zig-zag façade pattern (the “diagrid”) will translate inside. With open Central Park views starting on the 48th story of the 82-story building, the 139 units within will range in price from $3 million to a 6,643-square-foot penthouse on the 81st and 82nd floors that will be priced at over $70 million. Marketing for the for the building starts next week. Keep up with 53W53 at CityRealty. 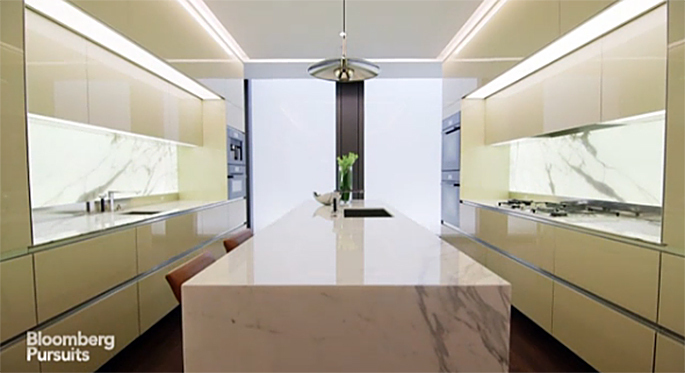 The Bloomberg video of the interiors and interview with the architect.